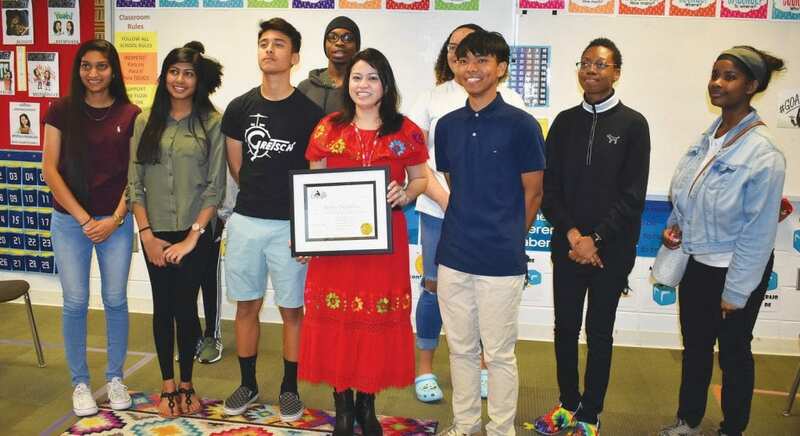 Woodville Tompkins teacher Bertha Delgadillo was surprised in her classroom Friday when she found out she is one of just fifteen educators nationwide chosen to be recognized as a LifeChanger of the Year by the National Life Group Foundation. She will receive a $3,000 award – $1500 for herself and $1500 for her school. Ms. Delgadillo was selected after being one of 832 nominations from across the country. Her nominator was fellow Woodville Tompkins teacher Christopher Lecount. The winners were chosen by a committee of past winners and education professionals. Ms. Delgadillo will found out the news on Friday, when visitors from the National Life Group Foundation surprised her in her classroom.